Want to tinkle the ivories? There is currently an art project taking place in Cincinnati, a bit like the cows which you saw all over the world. 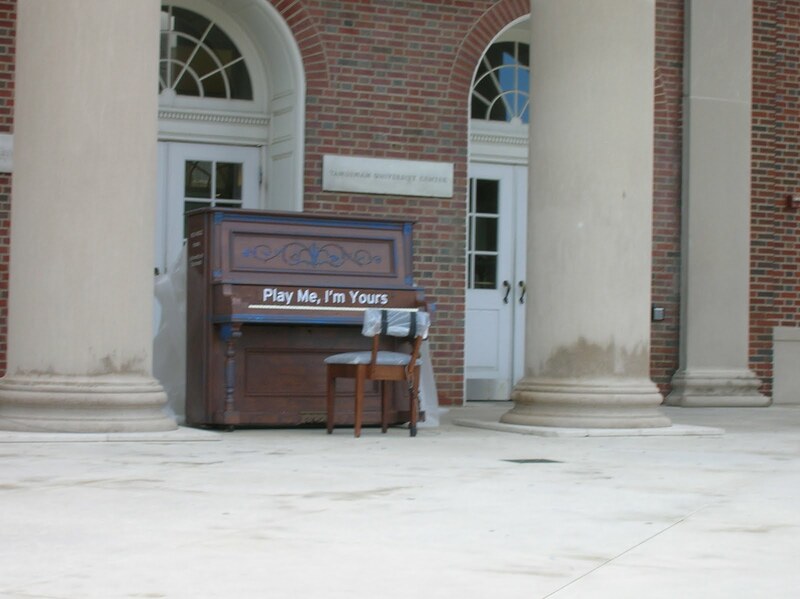 At random points throughout the city there is an upright piano with a rain cover and a sign saying ‘Play Me, I’m Yours’. You can be wandering around and there’ll be someone randomly playing on them. So far I’ve seen them in Fountain Square, Hyde Park, the Zoo, the Freedom Museum and one on campus (the picture above). Apparently the pianos are an ongoing touring art project.